Send a Friend Request | Last Seen Playing "Fable Anniversary"
Episode two of a five-part series set in Robert Kirkman's award-winning universe. Three months after the events of episode one, starvation forces the group to seek food from strangers. In a world where the living can be more dangerous than ... more info..
Catherine (EU) Version.... more info..
XCOM: Enemy Within is an expansion pack for the strategy game XCOM: Enemy Unknown. 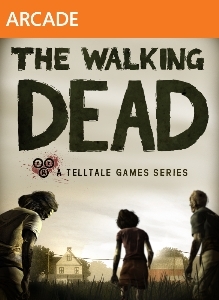 This expansion pack introduces new maps, new tactical and strategic gameplay, and new multiplayer content. ... more info.. 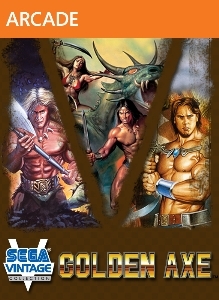 The SEGA Vintage Collection: Golden Axe pack includes Streets of Rage 1, 2 and 3.... more info.. The SEGA Vintage Collection: Golden Axe pack includes Golden Axe I, II and III. Grab your axe, swords, and mythic steeds to fight against evil in all three classic Golden Axe entries! Originally released for the Sega Genesis, the classic... more info..
SEGA's bringing Sonic the Hedgehog back to his side-scrolling roots. The sequel you've waited 16 years to see, SONIC THE HEDGEHOG™ 4 Episode I. Get ready for an all new 2D adventure! Sonic the Hedgehog 4: Episode 1 was Codename... more info..